Are you in the market looking for the gaming mic that best enhances the quality of sound? Then you have arrived. We have searched the market on your behalf and found the best gaming microphone to suit your need for quality and budget. Which Is The Best Gaming Mic? How Does The Blue Yeti Compare To Other microphones On The market? Where Can You Buy This Product? At What Price? If you are a gamer, how good you play does not matter, especially when playing in a team, and your team cannot hear what you’re saying. You will lose. 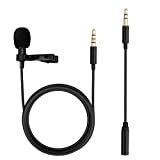 Besides sound, other aspects of gaming mics are important such as the configuration alternatives, ease-of-use, and pricing. This article should limit your search, allowing you to only look at the right items instead of having to search through the clutter on the internet. The information herein is based on a critical survey of the market and a summary of hundreds of customer reviews. This will save you time because you only look at viable options. Being money-wise is also a critical factor in any purchase, and we have factored this too, ensuring that you get the best bargain in the market, without compromising on quality. Having saved you both time and money saved, now let’s get you the right mic and off to play the game of your life. The product that won in this category is the Blue Yeti. There are many things to like about the Blue Yeti. The mic is reasonably priced compared to other microphones that have this level of sound quality. 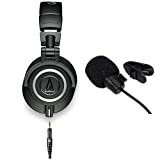 It has a fantastic sound quality and is easy to set up. Even more exciting is its adaptability because your distance from the mic whether you are speaking directly towards it is picked up and the quality of sound is still as excellent. You will also be surprised at how well the Yeti performs even under conditions that are less-than-ideal. The foam padding on the bottom of the base does not do much to deafen vibrations from the desk, but the size and shape of the Yeti allow you to find suitable ground for it. Therefore, however, noisy your room gets, no matter where you place it, you will experience a good quality of sound. Just as stated above, the Blue Yeti records your voice during gaming, allowing you to communicate with your team members. It uses Blue Microphone’s trademarked Tri-capsule technology to filter out all noises and produce immaculate, studio-quality recordings. The Yeti comes with four different pattern settings with simple controls for pattern selection, headphone volume, microphone gain and instant mute. With this Yeti, you will be the Jedi of your team. The four pattern modes allow for versatile recording. The Stereo Mode uses both the right and the left channels to capture a realistic sound image. The Cardioid Mode is well-suited for gaming. It records sounds right in front of the microphone and delivers a rich, full-bodied sound. The Omnidirectional Mode picks up sounds equally from all directions and is best suited for when you want to capture the ambiance of the room, such as when gaming. You want the entire experience to be captured, not just the words you speak. The Bidirectional Mode records from both the front and the rear of the microphone. It’s ideal for gaming, whether the microphone is in front of you or behind you. As you may have realized, the utilities of this mic also allow you to use it for your podcast. If this is also one of your hobbies, by buying this microphone, you will have killed two birds with one stone. How does the Blue Yeti compare to other microphones? Blue Yeti is very adaptable, has a fantastic sound quality and is affordable given the quality of the outcome. The Blue Yeti has several controls, allowing you to take charge of your recording process. If you experience feedback or distortion while recording, particularly a loud sound adjust the microphone’s sensitivity using the microphone gain control. If you want to take a break in the middle of your gaming, Blue Yeti allows you to use the instant mute button. The microphone has a 3.5-millimeter headphone jack that will allow you to listen to what you are recording without latency delays. Therefore, for those times when you sound like Steve Carrel on Despicable Me, or Dracula in Hotel Transylvania, quickly adjust your voice so that your team players know who is in charge. If the voice on your headphones is too loud or too low, you can also adjust this using a control you will find on the front of the microphone. It has an exquisite design. It is impossible to leave out the advantages of the Yeti’s innovative design. The design of the Yeti is inspired by classic recording equipment, making it a stylish retro aesthetic that will complement any gaming system. Its metallic girdle and its shiny frame have the look of old microphones. Since the mic is built on a hinge, you can quickly adjust and pivot it in relation to your voice, which is bound to improve the quality of sound. Once it is at your desired angle, use the set screws to secure it in place. 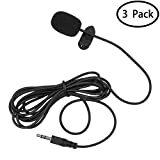 You will be happy to know the microphone can also fold down, enhancing its portability. Therefore, you can easily ship it from home to your dorm room, ruling out the need to have two microphones. It can also be removed entirely from its base when undertaking other activities like field recordings for your schoolwork. The versatility of this microphone is unparalleled. It is suitable for any location. Ideally, your mic should only be six to eight inches away from your mouth, and a pop filter fitted to cut out any noise you cause when you breathe. Unfortunately, gamers, we do not play in an ideal world. In addition, having the mic only a few inches from the mouth means you are likely blocking part of the screen if the mic is sitting squarely between your hands. You could also get a suspended mic stand, which is not expensive, but let’s be real, this would be overkill, at its best. It also means you would have to stand or sit upright to speak directly into it. This is tiresome and would take away your concentration. 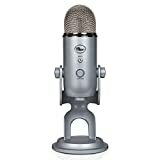 When gaming or live streaming, being able to move, shift and even relax is necessary, which makes the versatile Blue Yeti the ideal gaming mic. Customers reported that positioning is a critical area in which the Yeti outshines other mics tested. No one wants a mic awkwardly positioned between their arms and blocking the screen. You want to set it off the side, roughly an arm’s length away. At this distance, some microphones sound metallic, and the voice has echoes if you raise the gain to compensate. This is not the case with the Yeti. While its predecessor the Blue Yeti Pro sounded even better at the six-inch distance, the regular Blue Yeti sounds even better and outperforms it even when placed farther away. It’s not that the microphone sounds bad at close range, far from it. It is only that distance doesn’t affect the sound quality wherever the mic is positioned, and this is an important trait. It doesn’t take up much space on your desk. Another feature you will enjoy about the Yeti and its design is that you will not have to worry too about the mic bumping into other things on your desk. The mic is only widest at the bottom and will sit still so long as you provide a clear spot for the bottom. Although the mic comes only in three colors, it does what it should and is out of your way. You will almost never complain about where the Yeti should sit; it’s a quiet guest. The amount you spend on your gaming microphone is an important factor to consider. Yes, the market is flooded with studio-quality microphones, but they cost several hundred dollars. If you are recording music or voice-overs, then these expensive microphones are definitely meant for you. However, gaming does not require that level of perfection, and there is absolutely no reason to spend that much. You only need to settle on the features are of most importance to you and narrow down your choices depending on your budget. While you can definitely pay more for higher quality sound, the Blue Yeti gaming mic does everything that someone playing games would require. 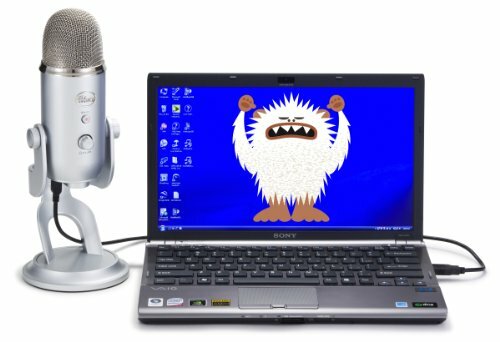 Find the Blue Yeti on Amazon, Buydig.com, and on Bed Bath & Beyond. All these stores offer free shipping, which should save you the time and money that it would take to get to the store. Recording quality: When testing a microphone, the audio quality is the most important. The mic should make you sound good and not pick up background noises. Adaptability: Each person has his own setup requirements, but it is important that a mic performs well in different scenarios. Price: Gamers try to get the best for less. 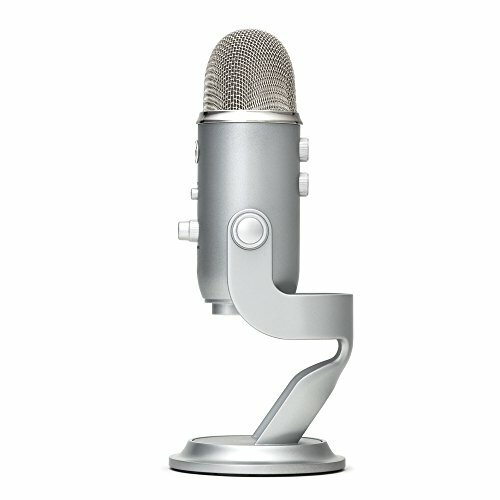 Compatible with PC and Mac, Switchable mic patterns, Blue’s unique two-capsule design, Plug and play design no software required. Noise canceling features, attachable to headphones. Detachable and flexible, durable, high sound quality, volume and mute controls, SteelFlex metal arm. Side-address condense mic, USB port, Built-in headphone jack, adjustable headphone volume, High-quality AD converter. Features: Attractive compact design, High sensitivity to headphones, 3 mini clips for tidy arrangement. 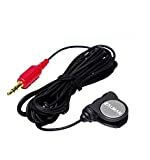 Large 19mm diaphragm studio condenser mic, USB audio interface, compatible with most computer software, gain control, 3 position headphone switch for computer, stereo, and mono monitoring. 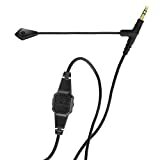 Suitable for professional gaming, detachable coiled cable, Protective carrying pouch, Unidirectional attachable boom, Mute switch, Headphone cable. Based on the reviewed factors, the Blue Yeti fared well against all other choices. 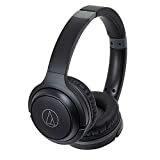 The most expensive model was the Audio-Technica ATH-M50X at $169.00, and despite its superior features and sound quality, the price paid is extremely high while the Blue Yeti gaming mic, can produce a sound of similar quality at a lower price. The cheapest model, HUACAM YYPJ-01-1 at $6.99 reportedly produces excellent sound, but it does not reach adequate gaming quality. You want a mic that provides, quality sound and makes you feel good; this is why we recommend the Blue Yeti. Based on the parameters of recording quality, adaptability, form factor, and price, The Blue Yeti provides the most value to you, the consumer.